It is lovely to go on a day trip with your group, but the cost of transport and entry to attractions can make it difficult. Here is a list of places which are free or very cheap to enter, and which you can access using buses or trains. All the transport routes listed here cost less than £10 per person, and most cost less than £5 per person. There is also some general information about how to get cheaper travel using discounts and railcards. Ditchling Beacon. 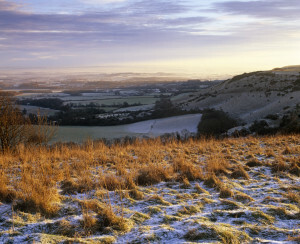 Image courtesy of National Trust. 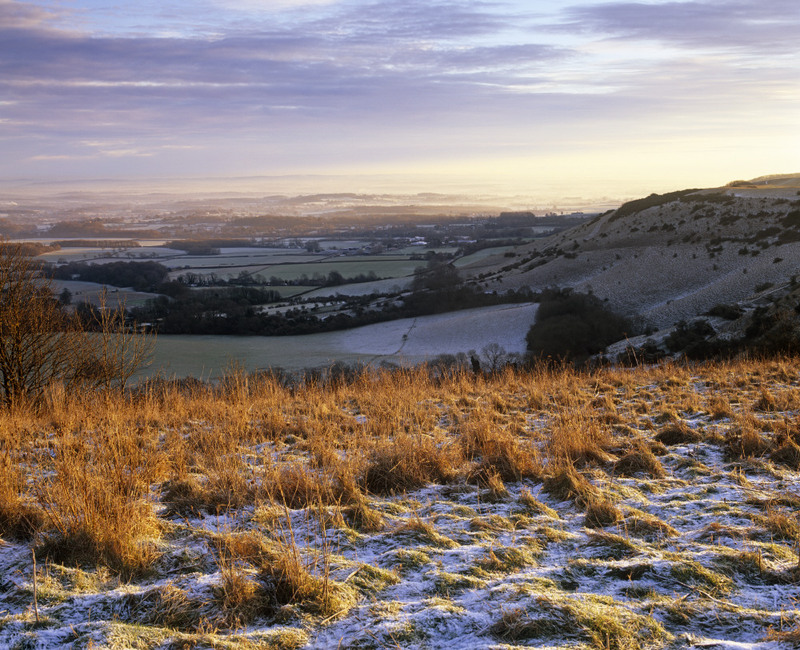 You can see beautiful views across Sussex from Ditchling Beacon. It’s a perfect place to go for a day out and a picnic – you can walk to very nice spots in just 2 minutes from the bus stop. There is often an ice cream van! You can also have a much longer walk if you want to. You could walk along the South Downs Way all the way to Devil’s Dyke. You can stop at Pycombe Church to use the accessible toilets. They also welcome passers-by to use their tea and coffee making facilities. 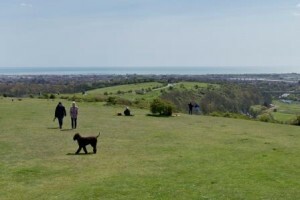 Take bus number 79 from Old Steine (stop U), via Brighton Station (stop D), Open Market, Fiveways, Surrenden Road to Ditchling Beacon (30 minutes from Old Steine). This bus runs once an hour on Saturdays, Sundays and bank holidays, 10:15am – 5:15pm (last bus 4:15 in winter months). The bus terminates in the car park at Ditchling Beacon. You can then walk along the South Downs Way in either direction for as long as you like. From central Brighton, the cheapest option for two adults is to buy a Duo Network Saver ticket using the M-ticket app on a smart phone. This costs £8.60, which works out at £4.30 per person for unlimited bus travel throughout the day in the Brighton & Hove Bus network. Make sure you get a Network Saver, not a City Saver. If you prefer to pay on the bus you can get an individual return on the bus for £5 per adult. Ask for a return fare to Ditchling Beacon, not a City Saver. This will also be valid to return from Devils Dyke or Stanmer, if you walk to one of those places from Ditchling Beacon. (A City Saver ticket is not valid all the way to Ditchling Beacon). From London Road shops or any stop on Ditchling Road you can get an adult return for £3 on the bus. Show valid rail tickets to Brighton or Hove stations to get two bus fares for the price of one, or a third off an individual fare. Up to two children can travel for free on this bus with every adult. People who hold an older person’s bus pass, or other concessionary bus pass, travel for free. Contact Brighton & Hove Bus and Coach Company for more information. Devil’s Dyke. Image courtesy of National Trust. Devils Dyke is a stunning spot with far reaching views. You can have a picnic, play games, fly a kite or go for a walk. There are toilets near the bus stop, plus a pub and sometimes an ice cream van. Take bus number 77 bus from Brighton Pier (stop N), (via West Pier, Churchill Square (stop H), Brighton Station (stop E), Seven Dials, Woodruff Avenue, Dyke Road Avenue, Tongdean Lane) to Devils Dyke Hotel (30 mins from Brighton Pier). The bus drops you at the car park, from where you can walk straight onto the South Downs Way. This bus runs throughout the year on Saturdays, Sundays and public holidays, every 45 minutes in summer, every 75 minutes in winter. If you prefer to pay on the bus, you can get an individual return for £5 per adult. Ask for a return fare to Devils Dyke, not a City Saver. This is also valid to return from Ditchling Beacon or Stanmer if you walk to one of those places from Devils Dyke. (A City Saver ticket is not valid to Devils Dyke). Stanmer Park is very quick to get to from central Brighton, and a great place to go to have a picnic, play games and fly kites. There is also a tea room, and accessible toilets. There are lovely places to walk, and you can travel around the park on the bus for free. Take bus number 78 bus from Old Steine (bus stop U), (via Brighton Station (bus stop D), Open Market, Lewes Road, Moulsecoomb) to Stanmer (30 minutes from Old Steine). The bus drops you right in the middle of the park, near Stanmer House. This bus runs once an hour on Saturdays, Sundays and bank holidays. From central Brighton, the cheapest option for four adults is to buy a Quattro single ticket using the M-ticket app on a smart phone. This costs £7, which works out at £1.75 per person for a single journey (£3.50 return). If you prefer to pay on the bus you can get an individual return for £5 per adult. Ask for a return fare to Stanmer Park, not a City Saver. City Saver tickets are valid on this route, so they are the cheapest option if you also have to get another bus the same day. Journeys within the park are free. Birling Gap. Image courtesy of National Trust. 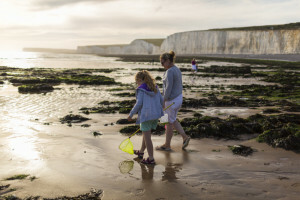 Walk or play on the beach, visit a tea shop and see stunning views of the Seven Sisters cliffs. There are accessible toilets at Birling Gap. Take bus number 13X from Brighton Station (stop D), (via Churchill Square (stop E), Sea Life Centre (stop K), Paston Place, Rottingdean) to Birling Gap (about an hour). The bus stops in the carpark, near the toilets and cafe. 5 people (1 adult and 4 children or 2 adults and 3 children) can travel on the bus using a Family Network Saver bus ticket. This costs £9 on a smart phone (using the M-ticket app) or £10 cash on the bus, and is valid for as many journeys as you like during one day. If you are travelling without children, the cheapest option for two adults is to buy a Duo Network Saver ticket using the M-ticket app on a smart phone. This costs £8.60, which works out at £4.30 per person for unlimited bus travel throughout the day in the Brighton & Hove Bus network. If you prefer to buy your ticket on the bus, ask for a Network Saver which will cost £7 and allow one adult unlimited bus travel in the Brighton & Hove Bus network throughout the day. Littlehampton beach has a wide, flat promenade which is easy to get around on using a wheelchair or with a pushchair. There is a long sandy beach with lifeguards. The sea is shallow and good for small children. There are places to buy ice-creams and drinks. Five minutes walk from the beach is Littlehampton Miniature Railway, which costs £3 for adults and £2 for children for a return fare from one end of the seafront to the other. Also near the beach is Harbour Park fairground, which has rides and games specifically aimed at children. Most rides cost £2 on the day, or you can buy discounted tickets online in advance. The outdoor rides are closed in winter, so check before you go. Littlehampton Museum, which is free to enter, is close to the train station and bus stop. Take the number 700 bus from Brighton Churchill Square (Stop D) to Littlehampton (1 hour 47 minutes). Get off at Anchor Springs bus stop. Walk straight down Beach Road to the beach (about a 15 minute walk). Take the train from Brighton Station or Hove Station to Littlehampton (50 minutes). Walk straight down Pier Road to the beach (about a 15 minute walk along the river). 2 adults and 3 children (or 1 adult and 4 children) can travel on the 700 bus on a Discovery Family Day Ticket, which you can buy for £17.50 on the bus. Adults without children can by an return ticket for £8 on the bus. For more information contact Stagecoach. Travel on the train as a group of 3-9 adults on a Groupsave train ticket, which will cost £7.20 per adult for a return journey. This is 1/3 off the normal fare, and is automatically deducted when you buy tickets as a group at the station or on the Southern Rail ticket website. Other websites may not give the discount. Children travel for £2 for a return journey when travelling with adults. Buy this at the station or via the Southern Rail ticket website . (You will need to register on the website to get the discount). 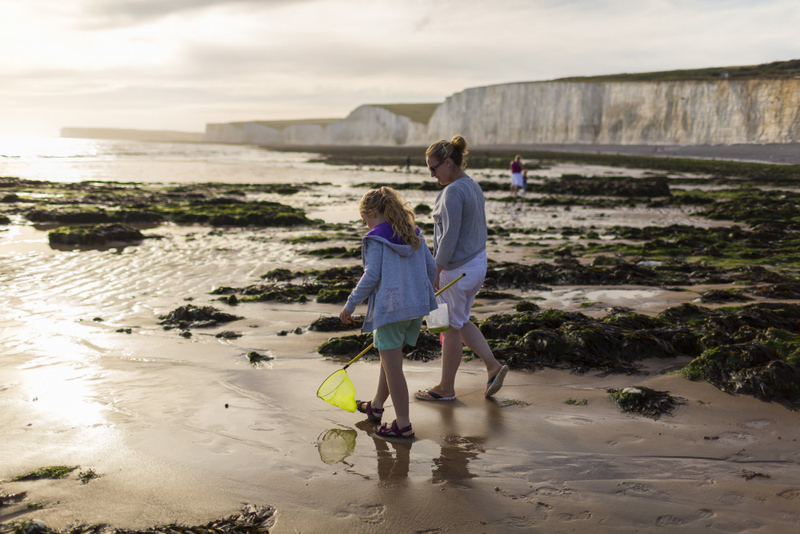 Seaford has a pretty, quiet shingle beach, which is a great spot for paddling, playing and enjoying the sea. There are accessible toilets and a wide promenade which is accessible for wheelchair users. On the seafront you will also find Seaford Museum, which is in the ancient Seaford Martello Tower. Entry to the museum costs £2.50 for adults and £1.50 for children. It is open Sundays and bank holidays 11am – 4pm all year round, plus Wednesdays and Saturdays 2pm – 4pm during the summer. The museum is not accessible for wheelchair users. Take the train from Brighton to Seaford (37 minutes). Exit the station and walk down Church Street, then the Causeway, to the sea (about 5 minutes). Walk East along the seafront to Seaford Museum and the toilets (about another 5 minutes). Take bus number 12, 12A, 12X or 13X from Brighton Station (stop D), (via Churchill Square (stop E), Sea Life Centre (stop K), Paston Place, Rottingdean) to Seaford Library (about an hour). Walk down Clinton Place, straight on to Church Street, then onto the Causeway to the sea (about 5 minutes). Walk east along the seafront to Seaford Museum and toilets (about another 5 minutes). Travel as a group of 3-9 adults on a Group Save train ticket, which will cost £3.30 per adult for a return journey. This is 1/3 off the normal fare, and is automatically deducted when you buy tickets as a group at the station or on the Southern Rail ticket website. Other websites may not give the discount. If you prefer to pay on the bus, you can get an individual return on the bus for £5 per adult. Ask for a return fare to Seaford, not a City Saver. View close to Truleigh Hill. Image courtesy of YHA. Have a walk in the countryside, and stop for a cup of tea at Truleigh Hill Youth Hostel cafe. It is about a 40 minute walk from the bus stop to the youth hostel. If you don’t want to walk that far you could just walk for a little bit and then stop for a picnic. Take bus number 2 from Brighton or Hove (catch it from Rottingdean, Woodingdean, Old Steine (bus stop H), Churchill Square (bus stop C), Hove Town Hall, Southwick, Shoreham) to “Southdowns Way” bus stop. The bus stop before this is called Dacre Gardens. Cross over the road, and you will see a wooden signpost for the South Downs Way. (Take great care as the traffic can be fast). Follow the footpath for about an hour to Truleigh Hill Youth Hostel. If you prefer to pay on the bus, you can get an individual return on the bus for £5.20 per adult. Ask for a return fare to Upper Beeding, not a Day Saver. Southease Youth Hostel. Image courtesy of YHA. 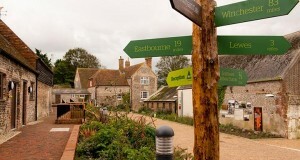 South Downs Youth Hostel is set on a disused farm. It is a 5 minute walk from Southease train station. There are large grounds to explore, and a cafe with tea and cake. You can also stay overnight. The youth hostel, and the walk from the station, are accessible for wheelchair users and people with limited mobility. 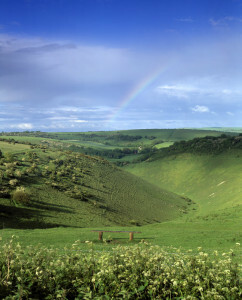 You can also go for a longer walk along the South Downs Way, which passes by the youth hostel. Take the train from Brighton station to Southease station, which has step free access. Cross over the tracks using the level crossing or footbridge. Walk five minutes along a country lane to the youth hostel. You can spot many different species of bird at Ouse Estuary Nature Reserve, and it’s a lovely environment to wander around and enjoy being outdoors. There are lots of little paths and areas to explore, and also a concrete track which is accessible for wheelchair users. There is a Sainsbury’s nearby which has accessible toilets. Take the train from Brighton station to Newhaven Town station, which has step-free access. Walk a short way along the A259, past Lidl and Sainsbury’s, and then join the National Cycle Route, which runs alongside the A259 on your right, just after the roundabout. The cycle route takes you right into the reserve, and is accessible for wheelchair users. Take bus number 12 from Brighton Station (stop D), (via Churchill Square (stop E), Sea Life Centre (stop K), Paston Place, Rottingdean), to Denton Corner bus stop, which is past Newhaven, just after Sainsbury’s on your left. Cross over the road at the crossing, and turn left along the A259 for a few metres until you see the cycle path, which will be on your right. If you prefer to buy cash fares, you can get an individual return on the bus for £5 per adult. Ask for a return fare to Denton Corner, not a Day Saver. Lewes Priory. Image copyright Lewes Priory Trust. 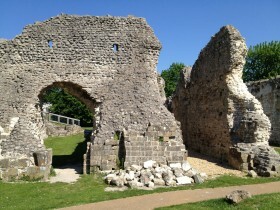 Visit the remains of an 11th century Priory built by monks, in a lovely park. There is an all weather path, which is accessible for wheelchair users (although there are some steps which mean you can’t quite do a full circuit of the site). The site is permanently open and there is no charge for entry. There are no toilets on site, but there is a cafe with accessible toilets at St Anne of Cleaves House, which is a 2 minute walk away. You could also visit Southover Grange Gardens to play games and have a picnic. Take the train from Brighton to Lewes (15 minutes). From the station, turn left onto Station Road, right onto Priory Road, left onto Cockshort Road, then left into the park (a 7 minute walk). To get to Grange Gardens from Lewes Priory, walk back along Southover High Street and turn left at the Kings Head pub. St Anne of Cleaves House, where cafe with toilets is, is on Southover High Street just west of the junction with Cockshort Road. Take the 28, 29 or 29B bus from Brighton Old Steine bus stop F, to bus stop “Pelham Arms” in Lewes. From the bus stop, turn left along Western Road, right onto Keere Street, straight on to Southover High Street (past Grange Gardens), right onto Southover High Street, left onto Cockshort Road, then left into the park (a ten minute walk). If you are travelling without children,the cheapest option for two adults is to buy a Duo Network Saver ticket using the M-ticket app on a smart phone. This costs £8.60, which works out at £4.30 per person for unlimited bus travel throughout the day in the Brighton & Hove Bus network. If you prefer to pay on the bus you can get an individual return on the bus for £5 per adult. Ask for a return fare to Lewes, not a Day Saver. Cuckmere Valley. Image courtesy of National Trust. 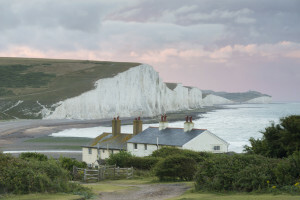 Seven Sisters Easy Access Trail is an accessible path that runs from Seven Sisters Visitors Centre, through Cuckmere Valley down towards the sea. It is suitable for wheelchair users and pushchairs. You can see stunning views of Seaford Head. There are also many other walks and tracks that start from Seven Sisters Visitors Centre. 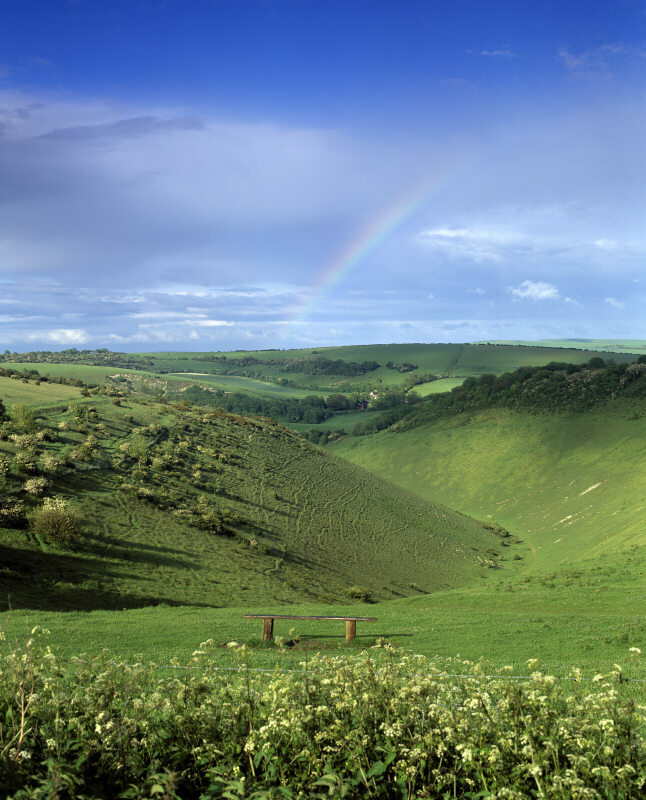 From here you can explore Friston Forest and the Cuckmere Valley. There are accessible toilets and a tea shop at the visitors centre, which is very close to the bus stop. Take bus number 12, 12A, 12X or 13X from Brighton Station (stop D), (via Churchill Square (stop E), Sea Life Centre (stop K), Paston Place, Rottingdean) to Park Centre (about an hour). Take care – this is a busy road. Enter the Seven Sisters Country Park, from where you can find the Visitors Centre, tea shop and toilets. You can join the Easy Access Trail from here. If you prefer to pay on the bus, you can get a return to Seaford for £6.90, or a Network Saver for £7 (which allows you to get any bus during the day). You might be entitled to extra savings on bus and rail travel. It also could be worth buying a railcard, to give you discounts on train travel. Most train companies offer a Group Save discount for groups of 3 to 9 adults. Buy your tickets in one transaction to receive 1/3 off an Off-Peak fare. You must travel together for the ticket to be valid. A Family & Friends Railcard allows up to 4 adults and 4 children to travel together at a discount. All the adults get 1/3 off and all the children get 60% off. It costs £30 and lasts for 12 months. Two adults can be named on the railcard, and the only condition is that one of those adults plus at least one child is travelling in the group. A Two Together Railcard allows 2 named adults to receive 1/3 off rail fares. Only the 2 adults named on the card are eligible, and they must be travelling together. Any adult can buy a Network Railcard for £30. This gives the holder 1/3 off rail journeys in the Network Railcard area (in the South East). This includes Brighton & Hove, East Sussex, West Sussex, and London (and further afield). The holder of a Network Railcard can also take up to 3 more adults for 1/3 off, plus up to 4 children for 60% off. A Family Network Saver bus ticket costs £9 on a smart phone or £10 cash on Brighton & Hove buses. It allows 2 adults and up to 3 children, or 1 adult and up to 4 children, unlimited travel on Brighton & Hove buses all day. Two adults travelling on the bus together can buy a Duo Saver ticket using the M-Ticket app on a mobile phone. A Duo City Saver costs £8.20 and allows you to travel on Brighton & Hove Buses anywhere in the City Saver area for 1 day. A Duo Network Saver costs £8.60 and allows you to travel on Brighton & Hove Buses anywhere in the Network Saver area for 1 day. You can buy a Quattro ticket on a smart phone using the M-ticket app for £7. This allows up to 4 adults to travel for up to one hour together, anywhere in the Brighton & Hove buses City Saver area. If your group regularly reimburses members and volunteers for their travel, you could think about one of these ways to save money. You can buy single fares at a discount if you buy ten or more in advance on a keycard. These are called Multitrip tickets. If your group uses a lot of bus tickets regularly, you may be able to buy them in bulk for a discounted price. Contact Brighton & Hove Buses to discuss this. A Bus ID card gets you much cheaper fares on Brighton & Hove Buses. These are available for under 18s. Contact Brighton & Hove Bus and Coach Company for more details. A 16-25 Railcard gives 16 to 25 year olds 1/3 off all rail journeys. It costs £30 to buy and lasts for 12 months. Children can travel for £2 when travelling with an adult on Off-Peak Southern rail services. You can buy £2 kid’s tickets at the station, or online via the Southern Railway tickets website. You will have to register on the website to get this discount online. A Senior Railcard gives people aged 60 and over 1/3 off all rail journeys. It costs £30 to buy and lasts for 12 months. You are entitled to a free older person’s bus pass when you reach the female state pension age (whether you are female or male). You can calculate when this will be on the government website. You can use your bus pass on weekdays all day from 9am, right through to 4am in Brighton & Hove, or until 11pm in the rest of England. You can use it any time at weekends. People with certain disabilities, and people who are prohibited from driving because of a medical condition, are entitled to a free Disabled Person’s Bus Pass. You can use your bus pass on weekdays all day from 9am. More information about who is eligible and how to apply is on the Brighton & Hove City Council website. Full time students are entitled to a 16-25 railcard, even if you are over 25. You need to complete a form and have it signed by someone at your university or college. Students are also entitled to savings on Brighton & Hove Buses, when using the M-ticket app or a key card. If you would like advice about planning a journey for your group using public transport, contact Brighton & Hove City Council’s Personalised Travel Planning team.